Retail Store Web Design | DigitalHipster Inc. 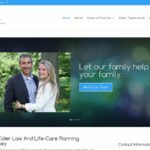 The original website color scheme (pink – shown below) didn’t match the client’s atmosphere and was a little too glaring. There was also no easy visual navigation via pictures on the website. 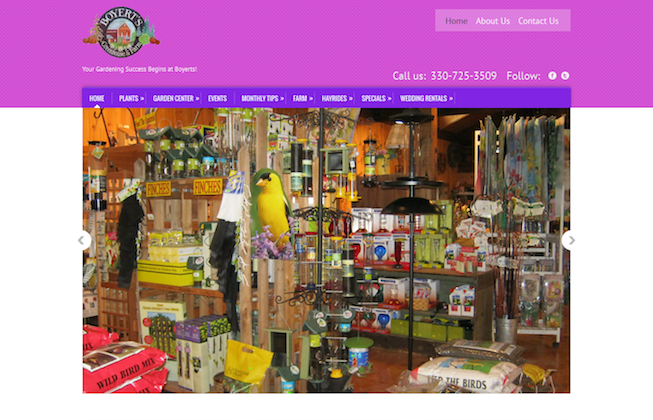 The new website design incorporated more of their rustic look. 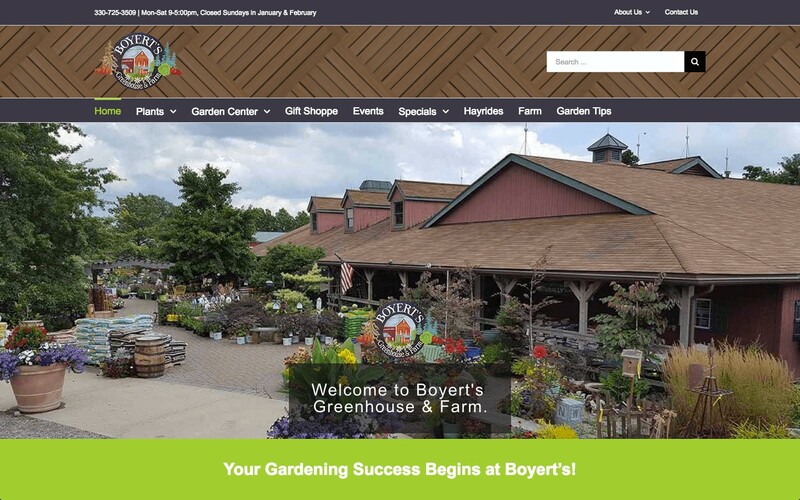 When you are ready to break out of the big box and into a real on-the-farm experience, Boyert's is the place for all things green inside and outside our home. This 3rd generation family business has one of the widest selections of flowers, plants and gardening suppllies in Medina County, Ohio.